Explore surprise locations that tourists have never heard of. The Cusco photo day tour is the only one that will take you to the touristic and the non touristic places of the Incan Capital. Visit unknown Incan streets, traditional markets, catacombs and typical local places unexplored by the tourist masses. 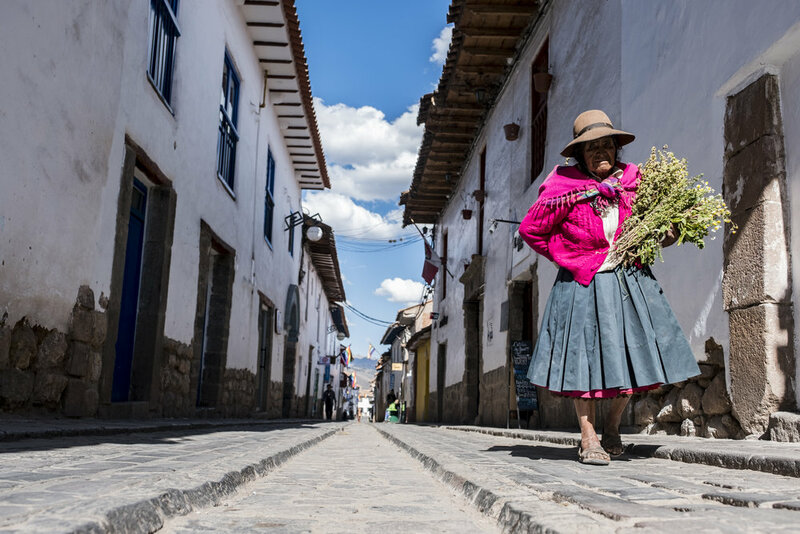 Get some photography tips from your guide, no matter if you use a phone or camera and enjoy the real Cusco from a different perspective, through the eyes of a local photographer. We start the morning at 09h30. We meet in the main square, Plaza de Armas outside the Mcdonalds. We move up to Santa Ana and have a quick breakfast in UMA Café at 10:00. After breakfast, we move up the street for a magnificent unique perspective from the Arch of Santa Ana. This ancient arch has a vantage point to photograph the city and barely anyone knows you can actually go to the top! We move down into San Pedro market around 10h30. Also known as the Central Market (Mercado Central), the San Pedro Market is one of the most traditional and classic places to photograph in Cusco. Built by the famous Gustave Eiffel in 1925, this location concentrates the local Quechua residents and is usually busier and more attractive in the morning. Entering this market is a different experience. 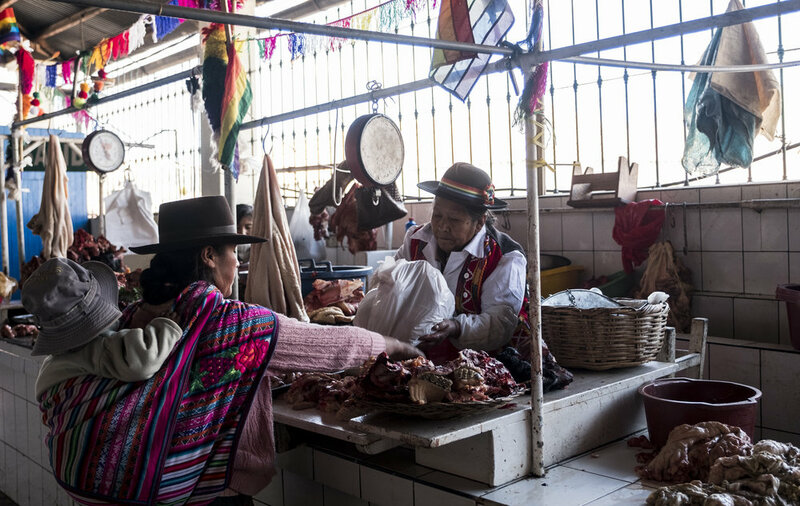 You’ll find everything from fresh fruit and veggies, natural medicines, people having a meal next to cow heads for sale, lots of crafts and an entire world of Quechua influences and amazing colors. At 12:00 we move to Plaza San Francisco and visit San Francisco de Assis Church, convent, and catacombs. The San Francisco Church is one of the oldest and most forgotten wonders of the city. We will visit this convent/church and explore its history and architecture. We will explore the underground catacombs, the church, choir area with amazing carved cedar chairs and one of the highlights - the Bell Tower, where you can enjoy an impressive view of the city. We will also visit the outdoor patio, designed with superb detail in the Spanish colonial style. At 1 pm there is a mandatory stop in the main square (Plaza de Armas). There’s no escaping the main plaza. It concentrates so much history about the Incan empire! Explore this area with a more photographic approach but get to also learn a little bit about the history of Cusco. Then we move up to San Blas neighborhood and have our lunch stop in San Blas Market. Lunch is quick and simple but delicious. A healthy local sandwich of your choice and fresh fruit juice. San Blas market is known for an alternative vibe, healthy food options, and few tourists. Around 14:00 we move out of the market and explore the San Blas Neighborhood. 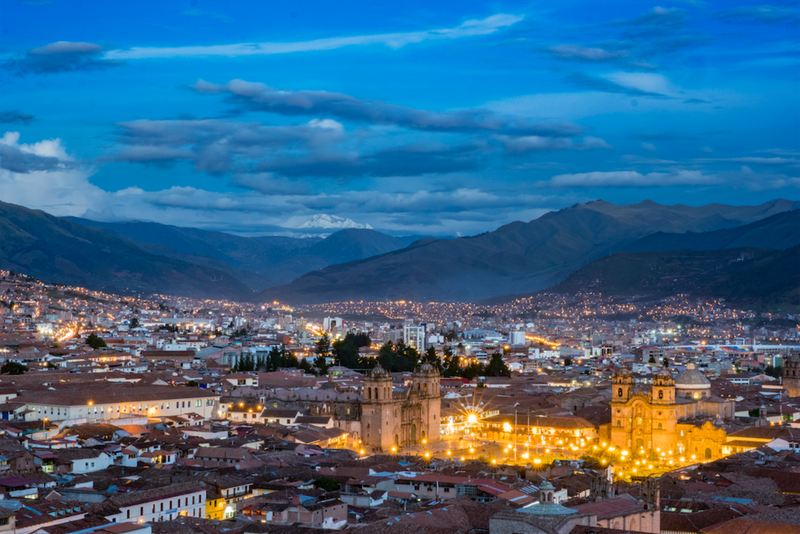 The oldest and most beautiful neighborhood in Cusco. Known as the location where all artists live in the city. This area has some hidden gem locations that make for amazing street photography and not a lot of people know about them. We will take you there along some mandatory stops like the “Mirador de San Blas” where you can have an amazing overview of the city. At around 15h00 we have the option either visit a local, traditional Chicheria, serving the drink chicha made from fermented corn, this is a very local spot and a perfect way to get to experience some of the true local culture, if this doesn’t take your fancy we have the option to visit a local bar with the best view in Cusco, here we can relax and drink a pisco sour while overlooking the entire city, you’ve earned it! Also very important about this tour : Cusco's dynamic changes daily! So some locations in it's streets are not open every day! We leave this as a surprise as it is not garanteed. But we always pass by the places and if open we go inside to show you some hidden gems of Cusco! Fingers Crossed!